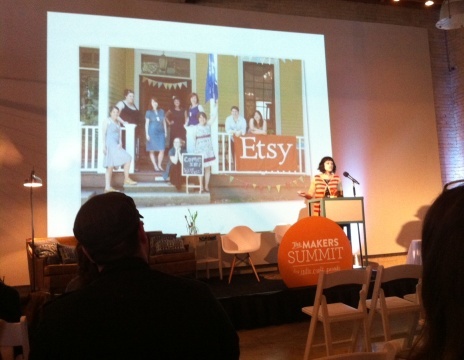 On Saturday, I tooled up the road a couple of hours to Greenville, SC, for the first-ever Makers Summit sponsored by Indie Craft Parade, held at a great elegant/industrial meeting space called Zen. It was a day full of sessions and networking for artist-business owners. Greenville is a special town to me, as my husband and I met at Furman University there and married a couple of weeks after graduation. Our daughter is a student there now! But back in the day, downtown was not exactly the destination spot it is today, with so many vibrant shops, restaurants, and a glorious park at the falls. 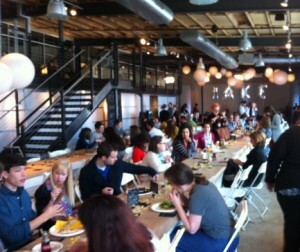 It’s the perfect location for a workshop such as the Makers Summit. As you can imagine, it was a talented group of attendees enjoying some very savvy, talented speakers. In fact, a little Googling online will take you to some professionally shot photos of the day by several who were there. 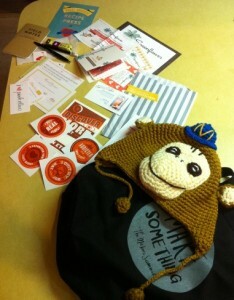 But maybe these pictures from my phone will whet your appetite to sign up when they do it again! Speakers included Stephen Fraser from Spoonflower, Grace Kang of Retail Recipes, designer Justin Gammon, author Amy Flurry, artist-entrepreneur and author Barb Blair of Knack Studios, Mail Chimp’s Amy Ellis, and Etsy’s own Kimm Alfonso, with a few other experts on hand to offer additional business advice. Topics in the general sessions included branding and product lines, online selling, and expanding markets. One of the perks of the day was meeting fellow artists and craftspeople making a business out of their creative passions. I had connected, through an Etsy blog, with Karen Sims Deady before the big day. 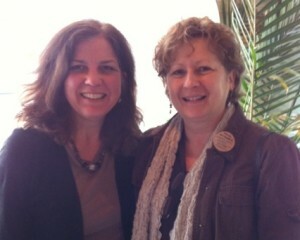 It was fun to meet her in person and chat between sessions. She has a gorgeous Etsy shop, KSDLuxe, with contemporary artisan jewelry. She’s also from Georgia, not terribly far from my neck of the woods. Gatherings like this definitely help artist-entrepreneurs along the way, however. Navigating by the stars is more adventuresome anyway, don’t you think? When I finish playing with it all, I have to get back to business – the business of selling my art! I’m thankful to have some new strategies to ponder and new peers to keep up with. 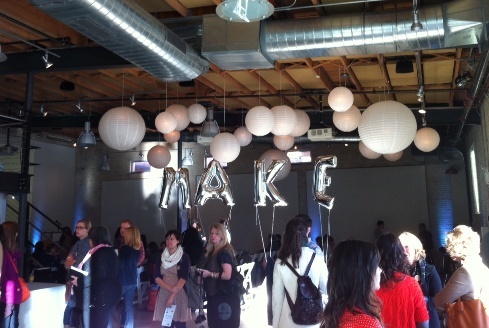 I’ll definitely sign up for the Makers Summit when it comes around again. My guess is, we should all sign up early. This entry was posted in Art Break Wednesday, Uncategorized and tagged artist entrepreneurs, conferences, indie business, Makers Summit, workshops by artsyletters. Bookmark the permalink. 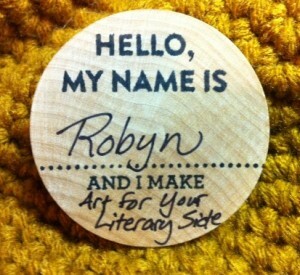 Robyn…it was wonderful to meet you after chatting through Etsy. What a fabulous report of our day and the event. I hope it becomes a regular thing….I will absolutely be there. Let’s keep in touch. Can’t wait to put all my new found knowledge to work. Robyn it sounds like you had a wonderful time. How terrific to get a review of your shop from an expert. Hopefully you learned some things that will increase your sales. I’ve fallen off the Etsy wagon for a while with all the dog craziness but am tiptoeing back into it all. I wish you oodles of success!